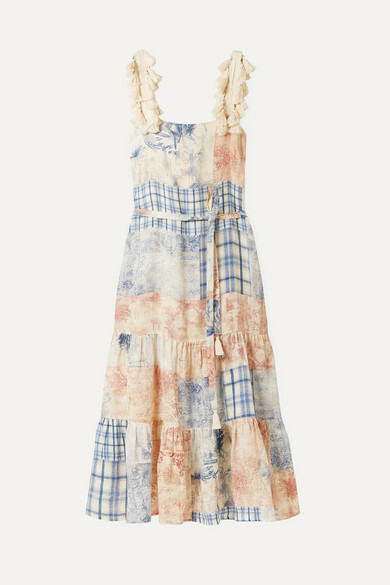 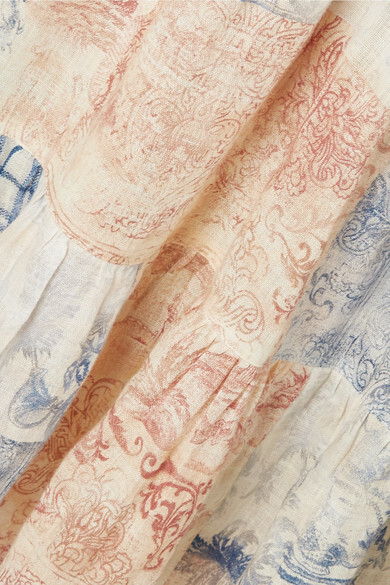 Tory Burch's dress features a patchwork of sun-faded patterns inspired by the souvenirs her parents used to bring home from vacation when she was younger. 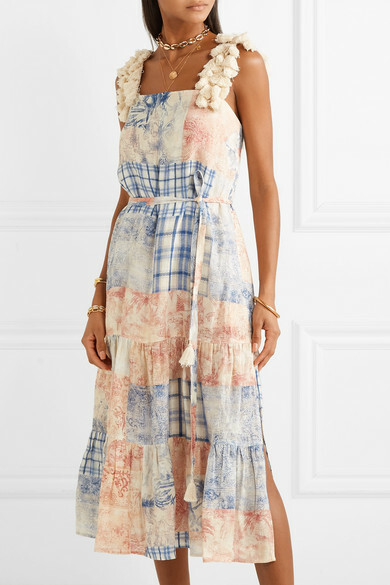 This maxi style is made from breathable linen in a breezy, loose silhouette that's defined by a self-tie belt. 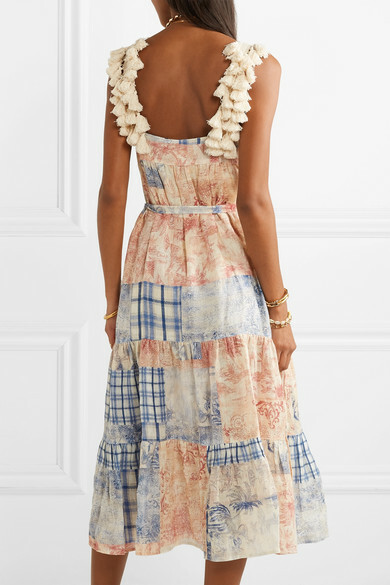 It's trimmed with plush tassels along the shoulder straps and has a lightweight cotton slip to temper the slightly sheer finish. 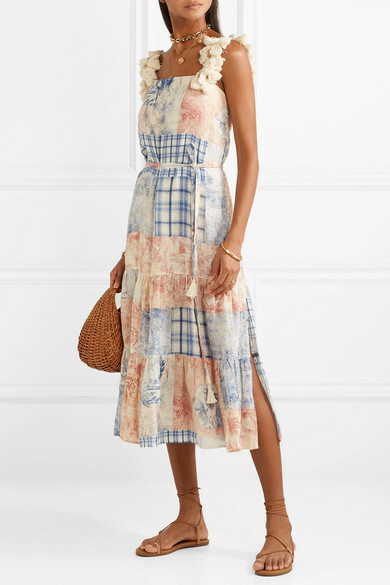 Shown here with: Loeffler Randall Tote, TKEES Sandals, Alighieri Necklace, Isabel Marant Bracelet, Loren Stewart Ring, Alighieri Necklace, Monica Vinader Bracelet, Alighieri Bracelet.